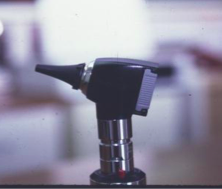 Ear infection – one of the common causes of doctor’s visit, in San Diego and everywhere. Infants or toddlers often wake at night, irritable and fussy, pulling on their ears and crying, maybe with a cold and a fever. This all too familiar scenario has all of the hallmarks of an ear infection (or, more formally, Acute Otitis Media with Effusion). Ear infections are very common in the first several years of life. Indeed, as many as 80% of children up to age three will have one. The occasional ear infection (1 to 2 times per year) is almost the norm, especially in children who attend a large group daycare. These routine ear infections are usually treated with an oral antibiotic. In recent years the American Academy of Pediatrics and American Academy of Otolaryngology have issued guidelines that indicate that children older than two may be monitored without using an antibiotic so long as they do not have a high fever or severe symptoms. Much of the decision-making depends on an accurate diagnosis. In any case using Tylenol or ibuprofen to manage the pain and fever is always appropriate. 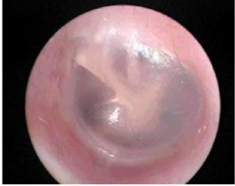 What are the risk factors for the development of recurrent ear infections? first six months of life. What are the concerns when a child has recurrent ear infections? The concerns with ear infections fall mostly into two categories. The first is the practical impact of multiple ear infections on the child and family. Although antibiotics are one of the most valuable tools in modern medicine, recurrent use can lead to allergic reactions, GI problems, battling the child to take the antibiotics, or the bacteria becoming antibiotic resistant. 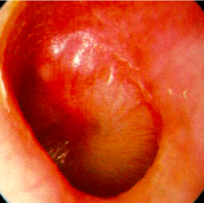 Recurrent infections can impact on the ear drum, although fortunately, long term damage is relatively rare. And no parent wants to see their child suffering with ear pain, make multiple trips to the doctor and pharmacy and miss time from work or school. get better with antibiotic treatment and repetitive courses of antibiotics are not appropriate here. The child’s hearing will return to normal once the fluid resolves. When do I need to see the ear specialist? not respond to different antibiotics and fluid in the middle ear for more than three months. Your primary care doctor will guide you as to referral. Dr. Seth Pransky is a Pediatric Otolaryngologist at Pediatric Specialty Partners in San Diego. 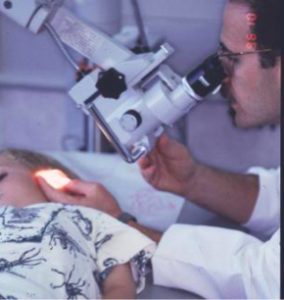 Dr. Pransky was the Director of Pediatric Otolaryngology at Rady Children’s Hospital for 20 years. He is an expert in pediatric ear disease and sinus problems, complex airway and voice abnormalities and sleep apnea in children. He trained at the Washington University School of Medicine, the University of Pennsylvania, and National Children’s Hospital in DC. His new private practice office is in the La Jolla Medical and Surgical Center, at 8929 University Center Lane, Suite 208. Families can call for an appointment at (858) 625-0809 or through the Pediatric Specialty Partners website, pediatricspecialtypartners.com.